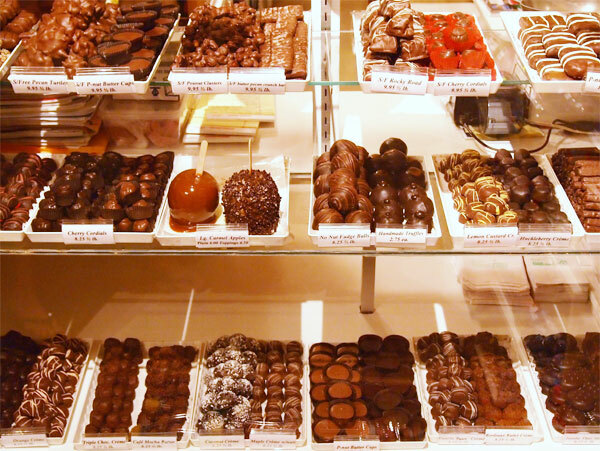 Choose from our special selection of chocolates, perfect when looking for a unique chocolate gift or just a tasty treat. 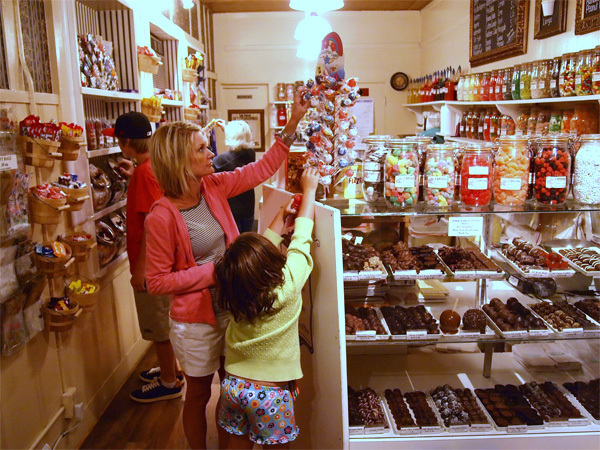 We offer light and dark chocolates, specialty creams, fruit bars, turtles, peanut butter cups, almost everything your taste can imagine. - Holiday Chocolates ~ Find something divine for everyone on your list. - All-Occasion Gift Baskets ~ Send someone a handmade gift they'll remember forever. Historians debate this, but most believe the Mayans and Aztecs first used cocoa beans to create a chocolate drink in the 1400's. 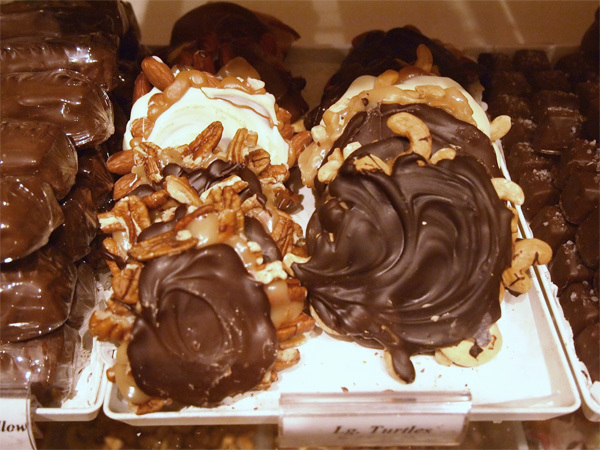 For over 30 years we have been offering specialty chocolates handmade just for us. One of our most recent addition is the Hellfire caramel. It's an amazing vanilla caramel covered in chocolate topped with mesquite roasted habanero pepper. Something sweet, savory, and spicy for your taste buds..